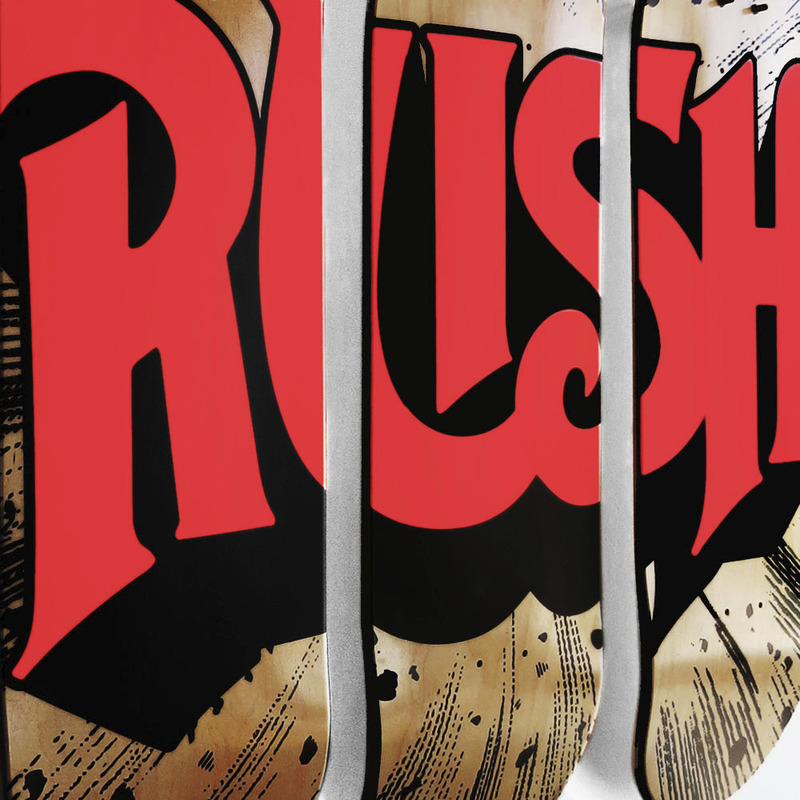 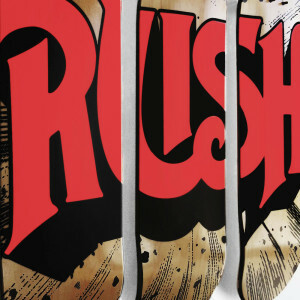 Put wheels on these three Rush Skate Decks and ride with your buddies, or display it on your wall as a triptych that spells ""RUSH"". 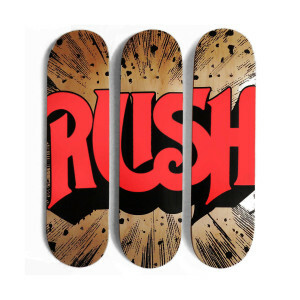 3 Skate Decks and 3 Display mounts included. The display is very easy to install, with just one screw going into your wall. 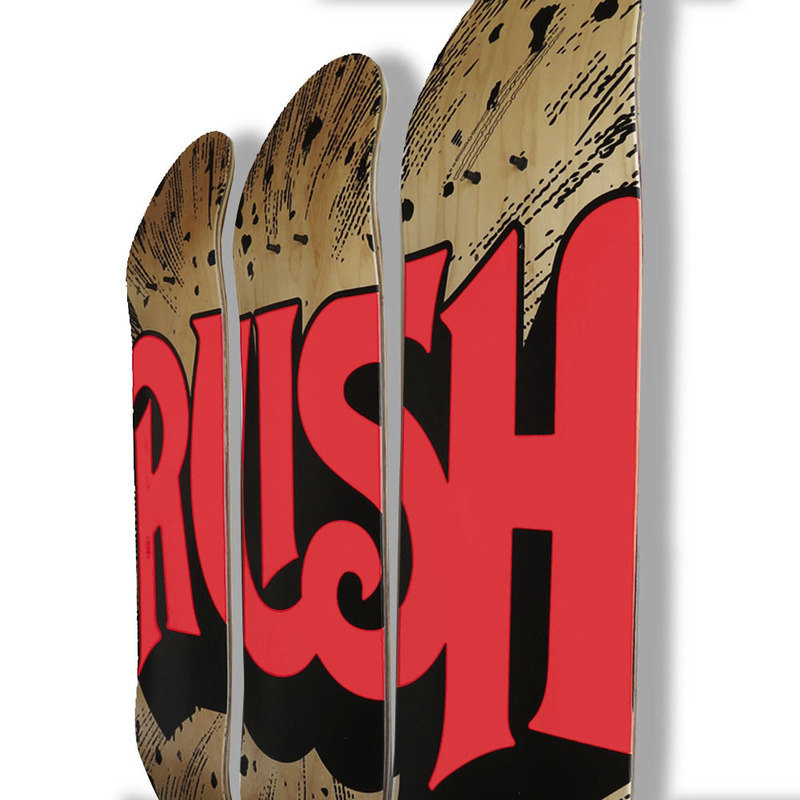 Please note this display is suitable for hanging a deck vertically. ** Please note Skate Deck color may not be exactly as shown on screen **"